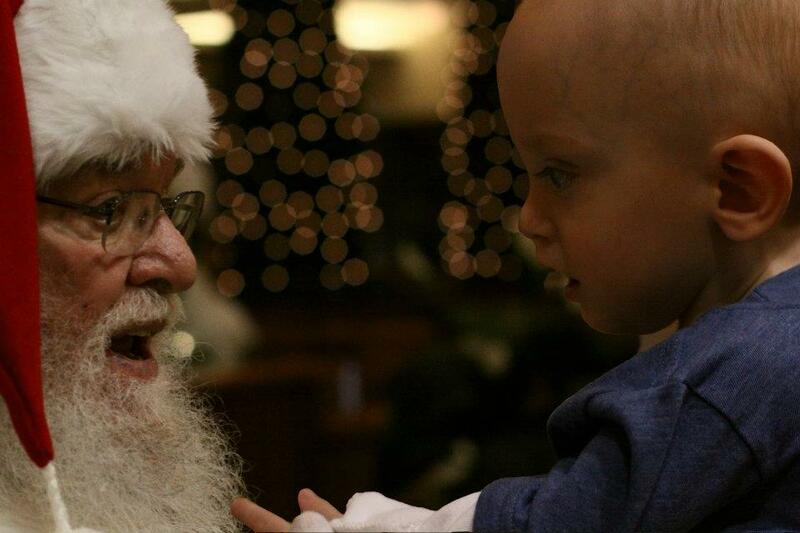 We are very grateful that we’ve been able to create some beautiful Christmas memories with James. Each Christmas has been the ‘Best Christmas Ever’ at the time. Here are a few of our favorites. 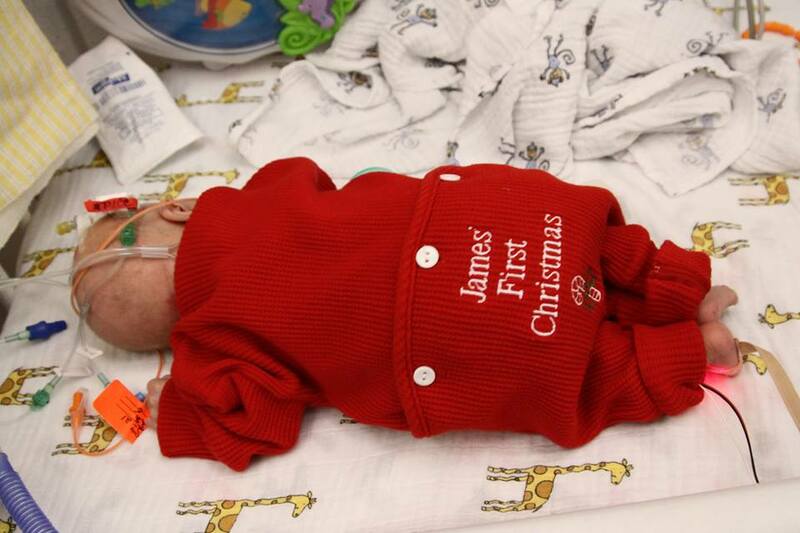 James was still in the NICU for his first Christmas. 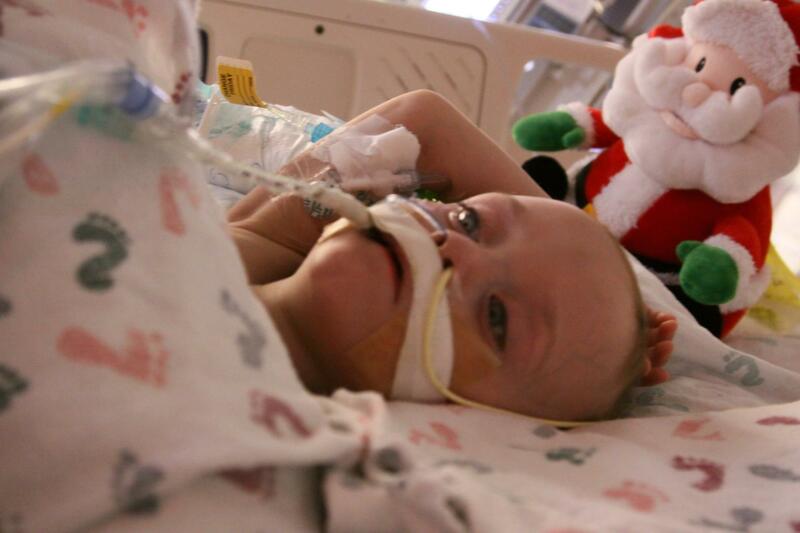 ‘Best Christmas Ever’ because, against enormous odds, he was here! Made even more special because I fed him for the first time Christmas Eve, and Daddy did Christmas Day. We didn’t know it at the time, but we’d be bringing James home in just two weeks. 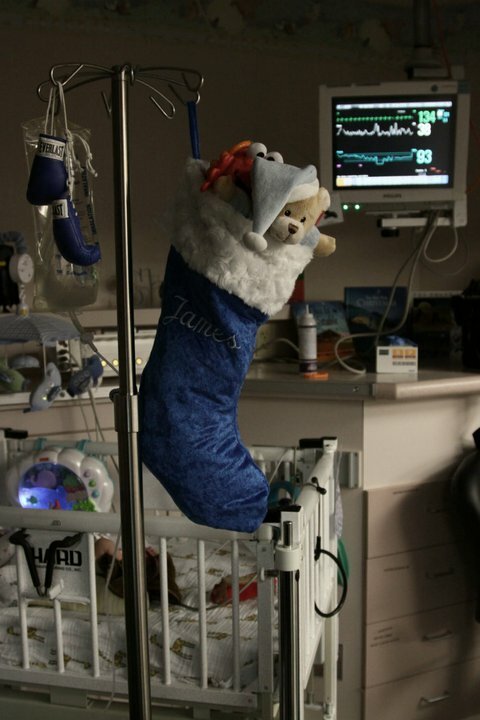 His beautiful stocking was handmade by Grandma and filled with many NICU-friendly goodies. Daddy feeding James for the first time. Can’t beat that for a Christmas gift! 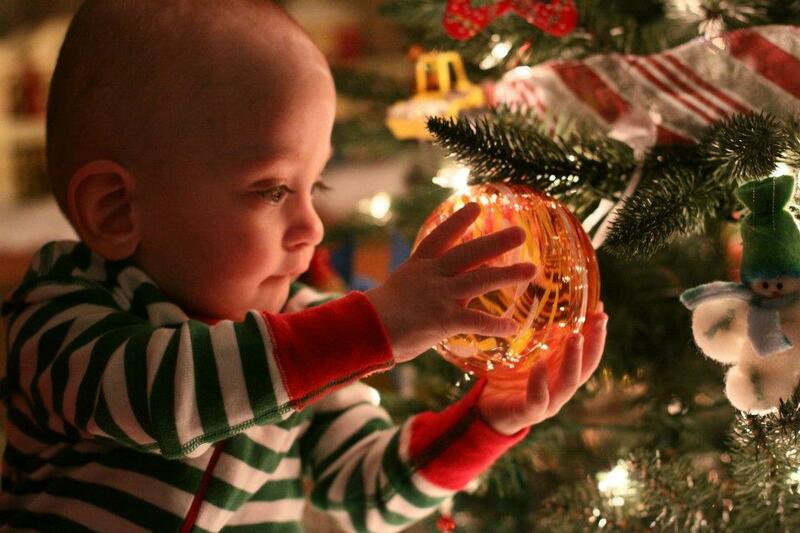 James’ first Christmas at home was the ‘Best Christmas Ever’ because our sweet boy was home. We were grateful to celebrate his first Christmas in the NICU, but nothing beats waking up in your own home Christmas morning, with your little guy right there. We were able to experience a few Christmas traditions together, like decorating the Christmas tree and having photos taken with Santa. He was definitely not a fan the first time he met Santa, but Santa won him over in the end. Love how his sweet friend Eleanor tried to comfort him. 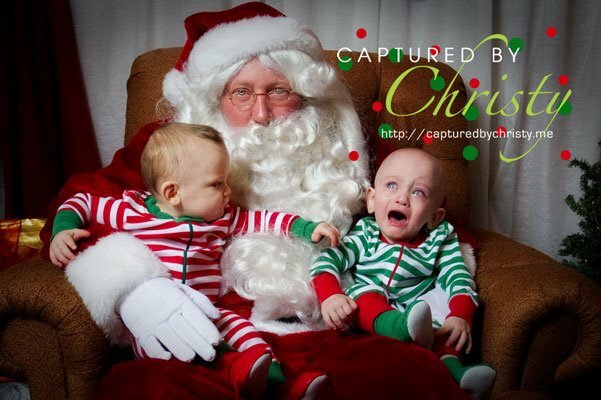 One of my favorite Christmas photos. James was captivated by the lights and colors of the Christmas tree. We ran into the big guy again and James was in awe! Christmas 2012 was the Christmas of Trans Siberian Orchestra. James saw them for the first time in Grandma’s room while we were decorating the house for Christmas. He was captivated right away and always signed “more” when the dvd ended. When James ended up in the hospital a couple of weeks later we played TSO for him, trying to bring some comfort any way we could. It’s been one of his favorites ever since. ‘Best Christmas Ever’ because Christmas Day was the day they finally told us, after three long weeks, that James was going to be ok. Doesn’t get any better than that. 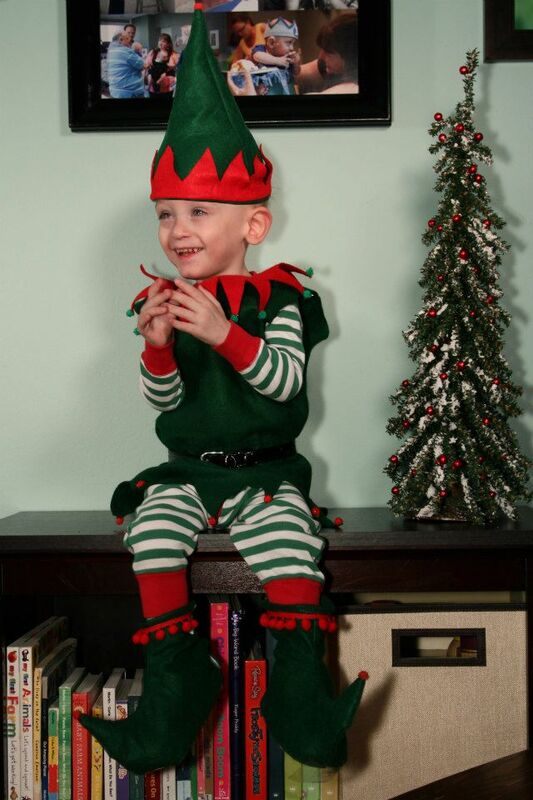 We made our very own Elf on the Shelf for our Christmas Cards. A couple of weeks after this photo was taken we hung it outside is ICU room at Children’s. We wanted all of his doctors and nurses to see as much as they could of the real James, not just the sedated little boy laying in the hospital bed. RSV and pneumonia will do a number on a little guy with asthma. His love of music, more specifically Trans Siberian Orchestra, got us through Christmas in the ICU. We were so thankful to be home and healthy for Christmas in 2013. James loved the tree and the lights, and was starting to get interested in things like decorating sugar cookies and the gingerbread house. His Granny spent the night Christmas Eve, and we had a peaceful, quiet Christmas day at home. James wasn’t too interested in anything that showed up under the tree. The whole experience was a little overwhelming for him. Still the ‘Best Christmas Ever’ because James was healthy and home. We definitely don’t take that for granted with this guy. 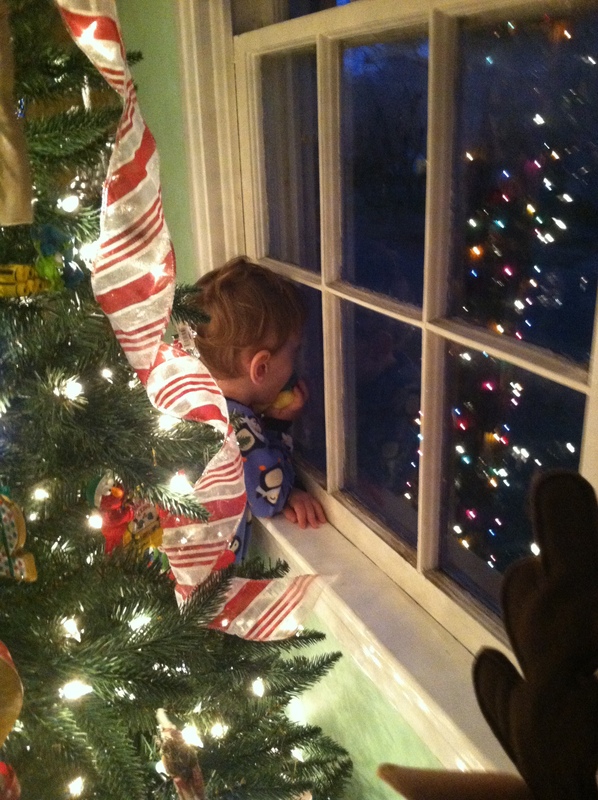 Whenever we couldn’t find James, he was usually behind the tree looking at the reflection of the Christmas lights. James’ first Gingerbread House. 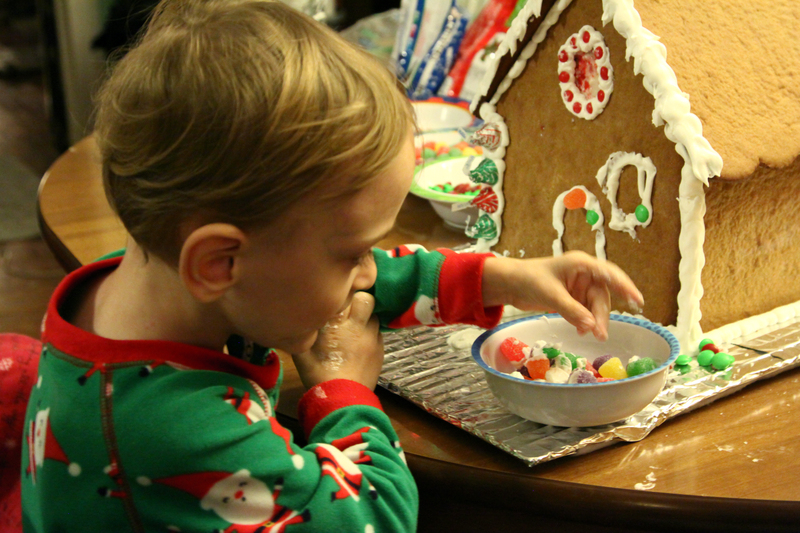 Notice all of the icing in the bowl…he preferred to take the decorations off the house! One of his favorite gifts. 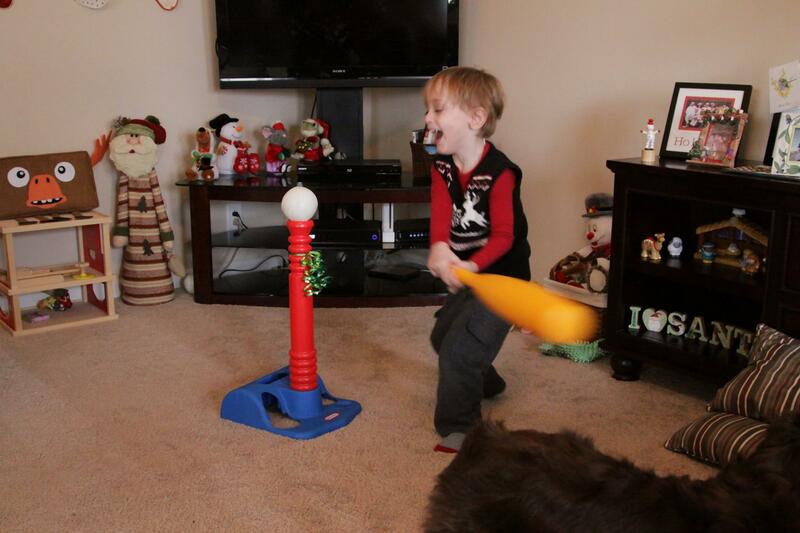 He had the biggest belly laugh every time he swung at the ball. 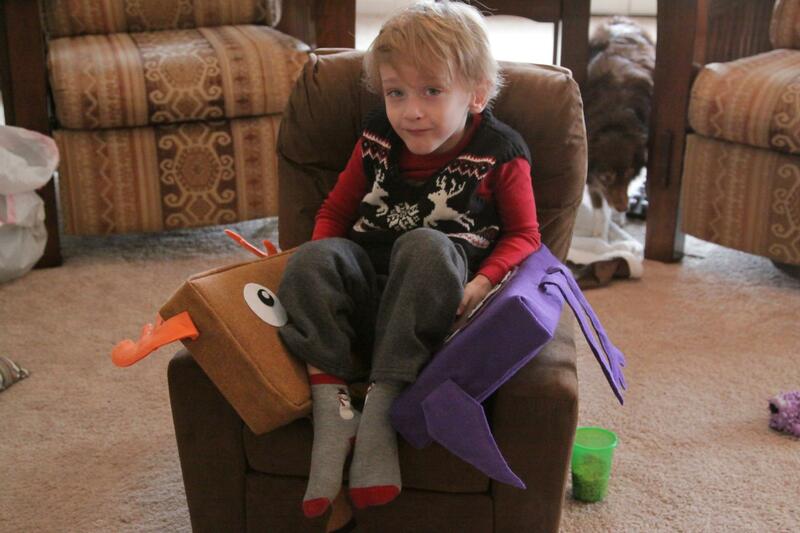 Just hangin’ with his Big Blocks, cozied up in his new James-sized chair. Many wishes for a happy and healthy 2015! 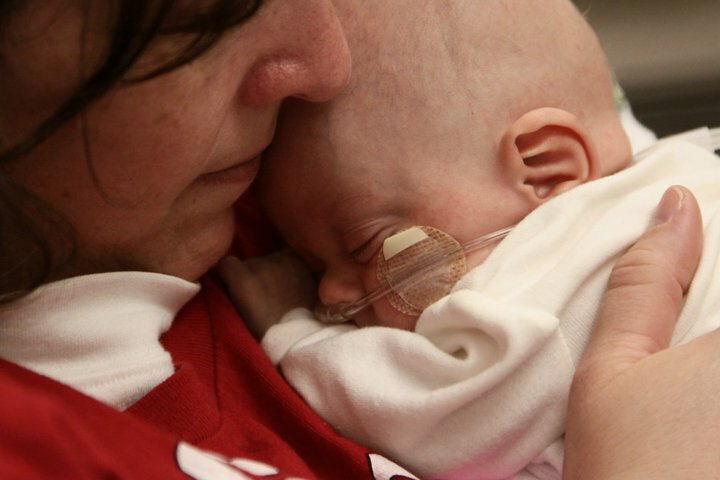 Tags: Celebrations, Christmas, Family, love, NICU, photo blog. Bookmark the permalink. Last picture has a little Macaulay Culkin look to it. We’ve noticed a little similarity to him, especially as he gets older!